Why would an all-loving God allow Suffering? 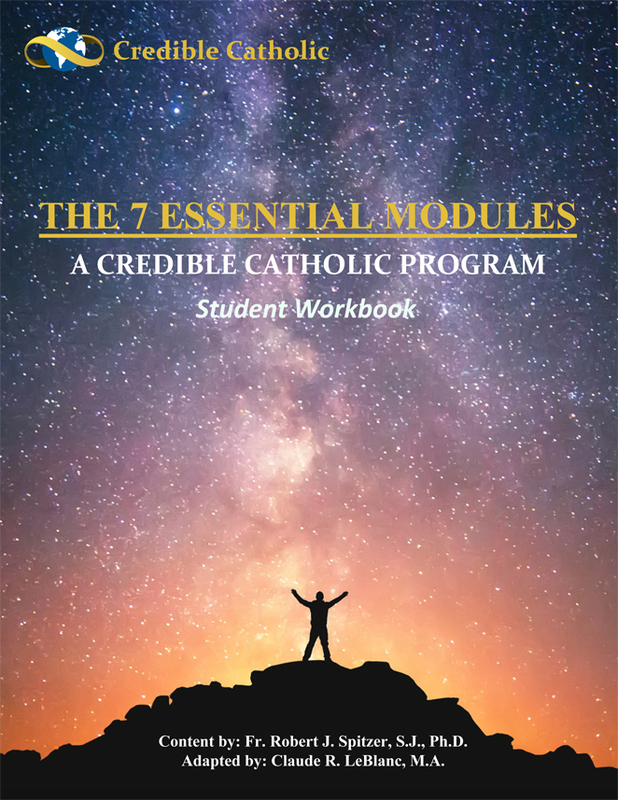 All of the 7 Essential Module Presentations and more are captured in this, Student Workbook (SWB). Every student should have one for taking notes and later referencing. This will aid their retention. Included are activities and supplemental notes to many of the slides. These SWBs can be used online (FREE) or downloaded and printed at home, school or parish offices. We have tried to make it as convenient and inexpensive as possible so it can be purchased online. Discounts are offered. Educators Note: This SWB captures exactly what is shown on the DOWNLOAD button under the, “Presentation Guide” heading. The VIEW button Presentation Guide adds some additional features that we offer for your use, should you choose to do so. Included in the “View” version are a modified true/false quiz (with a quiz key of course) and a student survey to get the opinion of the students regarding these presentations. The True/False quiz requires students to alter any sentence they believe is false to make it true. It is a good measure of their understanding of the content. We wanted the educators to control these features. I. How to download the Student Workbook: Click the red DOWNLOAD button and look for the download symbol near the top of the page. Click on the symbol and look for the downloaded book at the bottom left of the page you are viewing. You can also view this SWB in place on your computer or smart device. II. PLEASE make sure you have Adobe Reader installed on your computer to allow you to download and read/print this book.